What time is it? It’s time to rhyme! 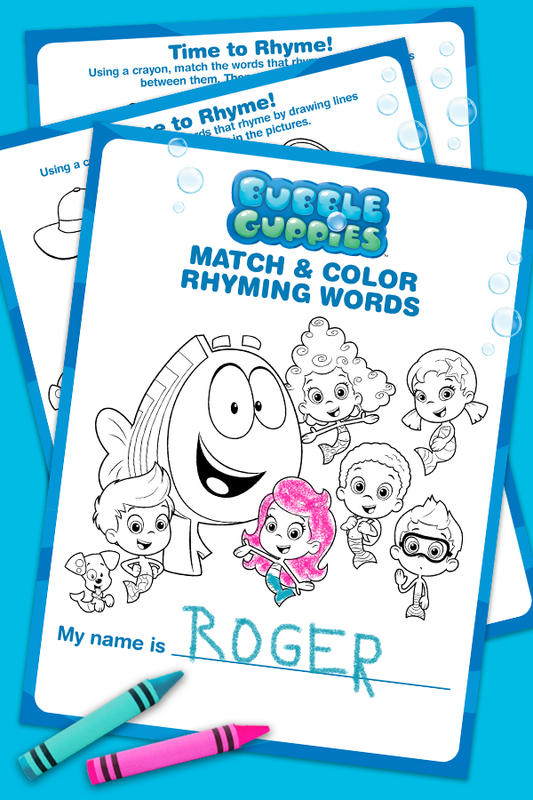 Turn your preschooler into a swim-sational rhymer with the help of the Bubble Guppies. Have your child look at the pictures, say the words aloud, and then match up the ones that rhyme. Nick Nickelodeon and all related titles, logos and characters are trademarks of Viacom International Inc.